Stocks Soar, But How Strong Is The Economy? 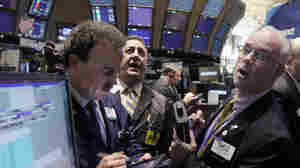 November 30, 2011  Reports of increased hiring and strength in manufacturing along with central banks moving to help ease Europe's financial crisis sent stock markets up sharply Wednesday. Analysts said the economy isn't on the verge of booming, but the risks of a double-dip recession have eased. November 30, 2011  In Chicago, city officials and demonstrators say the recent Occupy Chicago protests are a sort of dry run for next year's simultaneous NATO and G-8 summit meetings. November 30, 2011  President Obama traveled to Scranton, Pa., to promote an extension of the payroll tax cut on the first $106,000 in income. Melissa Block talks to NPR's Scott Horsley for more. November 30, 2011  Guy Raz talks to Felix Salmon, a finance blogger for Reuters. Salmon explains Wednesday's actions by six central banks to improve access to U.S. dollars internationally. November 30, 2011  Amid continued political gridlock in Washington, New York Times Columnist Anand Giridharadas says governments should depoliticize the economy. He recently reported in Brazil, where he says jobs and yacht sales are up, and young locals are ecstatic about the future. He speaks with host Michel Martin. November 30, 2011  When American Airlines reorganizes under bankruptcy protection, it's not likely to seek widespread layoffs. The airline already made big cuts during the economic downturn. More likely, the company will seek big givebacks in retiree pensions and benefits. 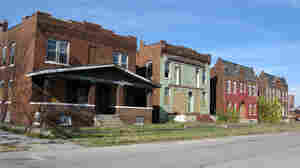 November 30, 2011  The Great Recession hit the industrial Midwest especially hard in recent years. Now, though, local leaders in at least one small Illinois city believe the worst is finally behind them. But they need to diversify — and attract new residents. November 29, 2011  Across debt-ridden Greece, people are turning to a simpler form of commerce, using both formal and informal systems of bartering as a means to make ends meet. In places such as the fishing village of Volos, swapping goods and services is also fostering a new sense of community. Is Bankruptcy 'Business As Usual' For Airlines? 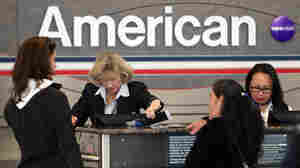 November 29, 2011  American Airlines is the latest airline to file for Chapter 11 bankruptcy protection. Bankruptcy filings seem almost commonplace within the industry these days, in part because the stigma has largely disappeared.